If you're looking for the most fun on Earth. No other book on Earth science is packed with so much fun. 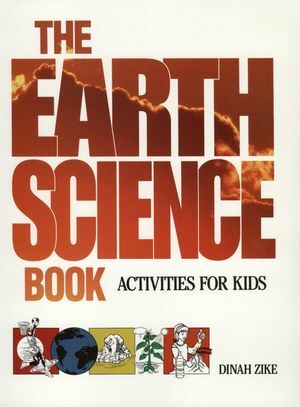 TheEarth Science Book's pages overflow with dozens and dozens ofenjoyable, educational, and easy-to-do activities that explainbasic Earth science facts and important environmental issues. Usingsimple materials you can find around the house or in yourneighborhood, these activities show you all about the planet Earth,its composition and atmosphere, life on Earth, and much more. DINAH ZIKE is an educational author, consultant, lecturer, and product developer with her own company, Dinah-Might Activities, Inc., based in San Antonio, Texas. She is the author of numerous books and activity materials in science, history, reading, and other areas of special interest to children, teachers, and parents.